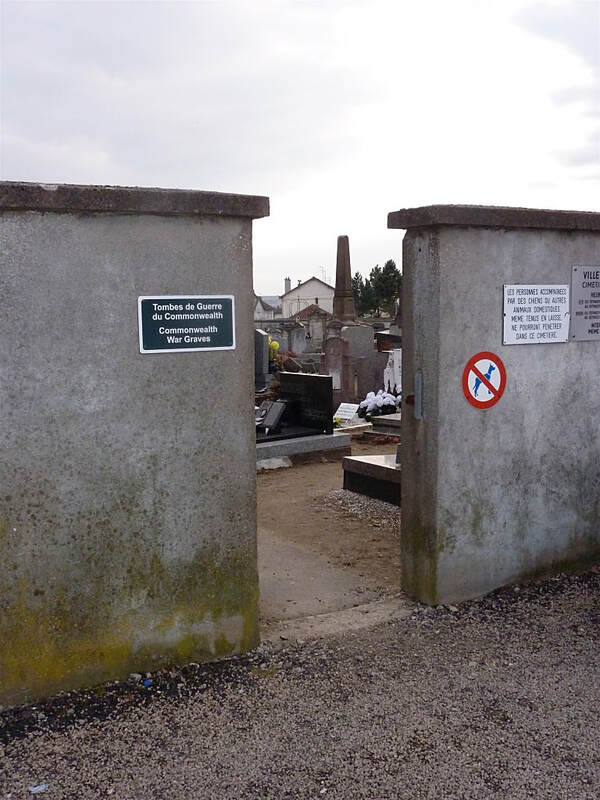 Longwy-Haut Communal Cemetey contains a number of French and Allied burials. 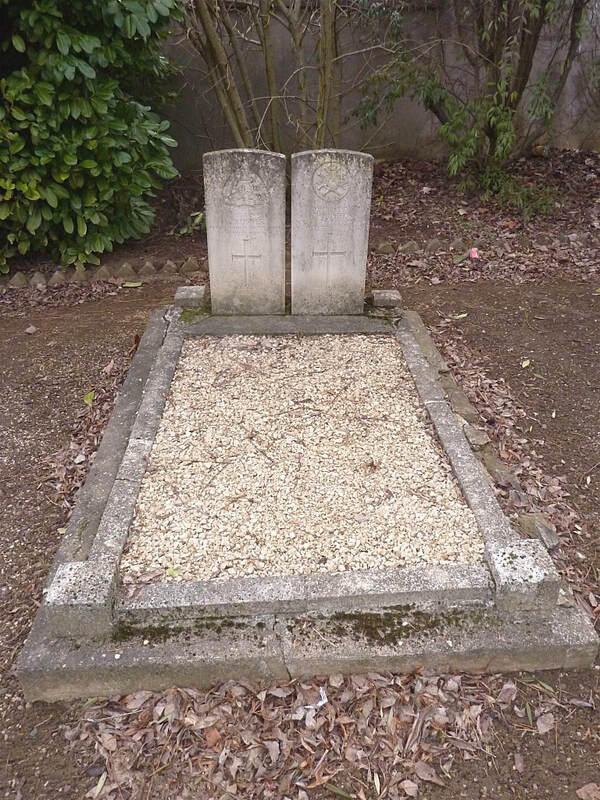 The French graves are due chiefly to the Battle of Virton (or Longwy) in August 1914. 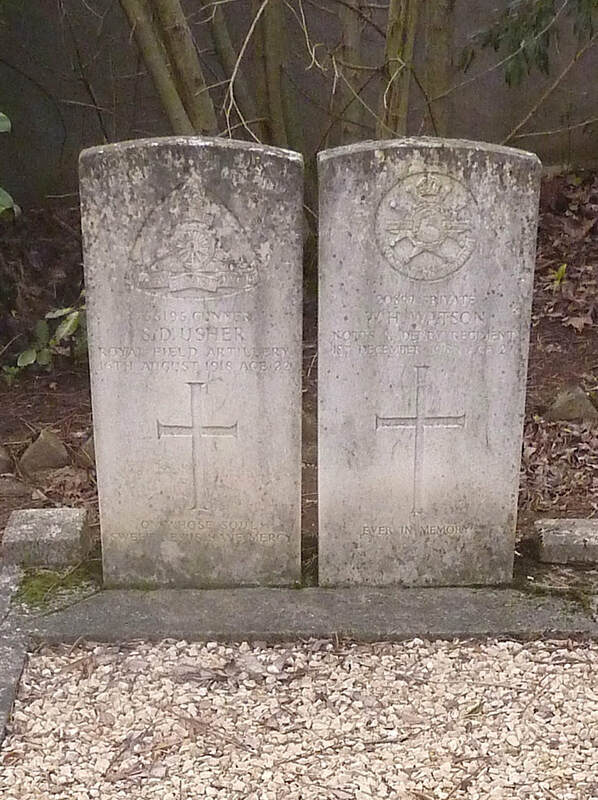 The cemetery contains two Commonwealth burials of the First World War. 755195 Gunner S. D. Usher, "C" Battery, 298th Brigade, Royal Field Artillery, died 16th August 1918, aged 29. Son of the late Frederick and Ada Usher, of 24, Clarendon St., Spring Bank, Hull. 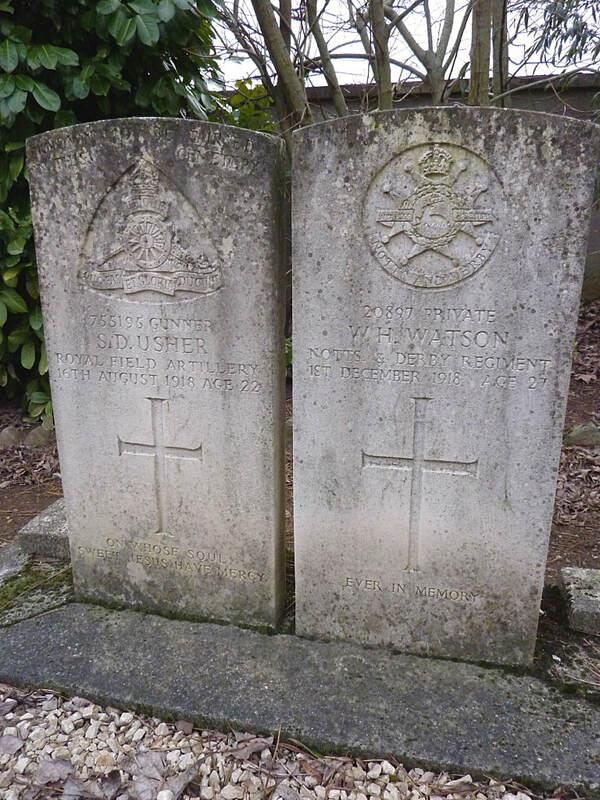 20897 Private W. H. Watson, 2nd/6th Sherwood Foresters, (Notts and Deby Regiment), died 1st December 1918, aged 27.